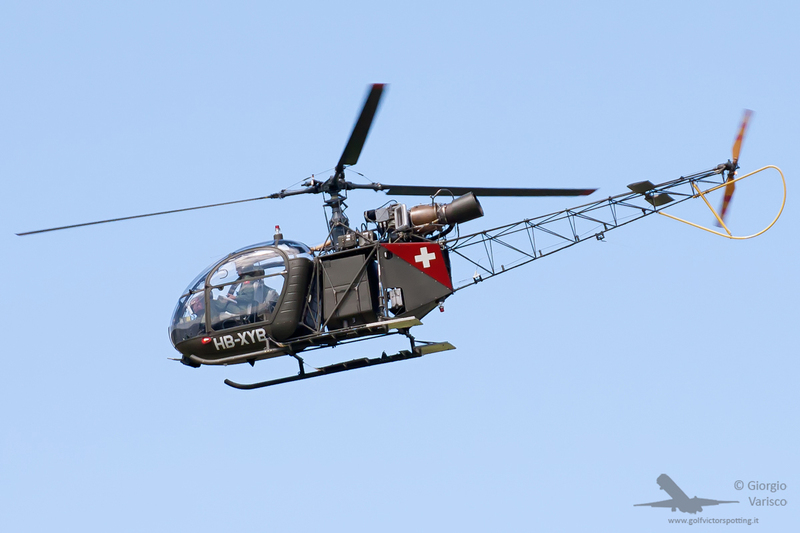 The German company MeierMotors recently finished restoring this EKW C-3603. 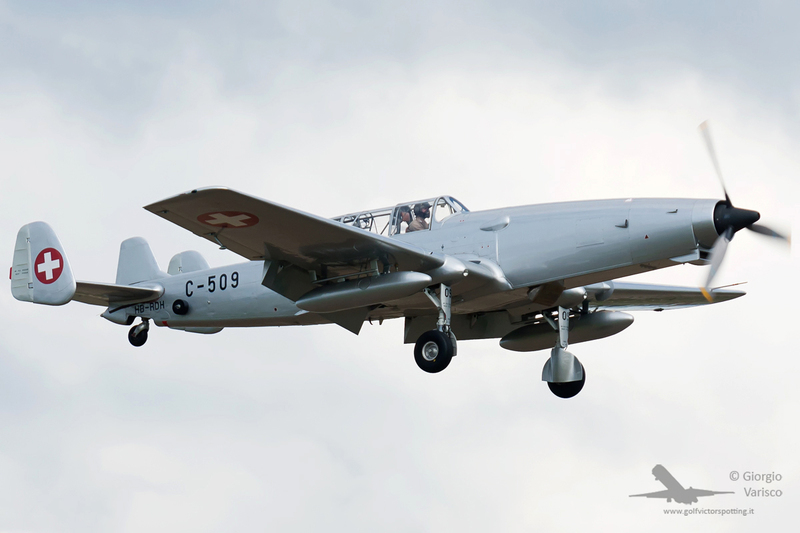 The C-3603 is a ground attack aircraft developed during World War 2 and ready to be used if Switzerland was forced to join the war. 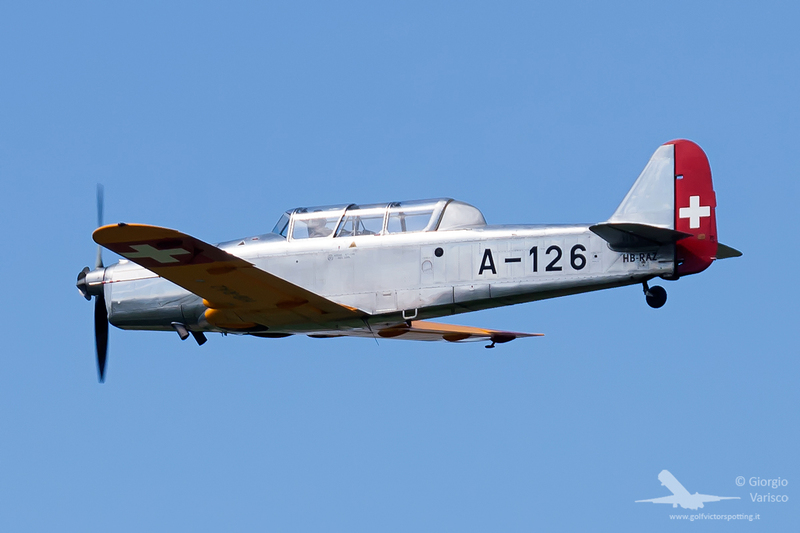 Later some C-3603 were reengined with turboprops and used as target tugs, becoming the C-3605 Schlepp. 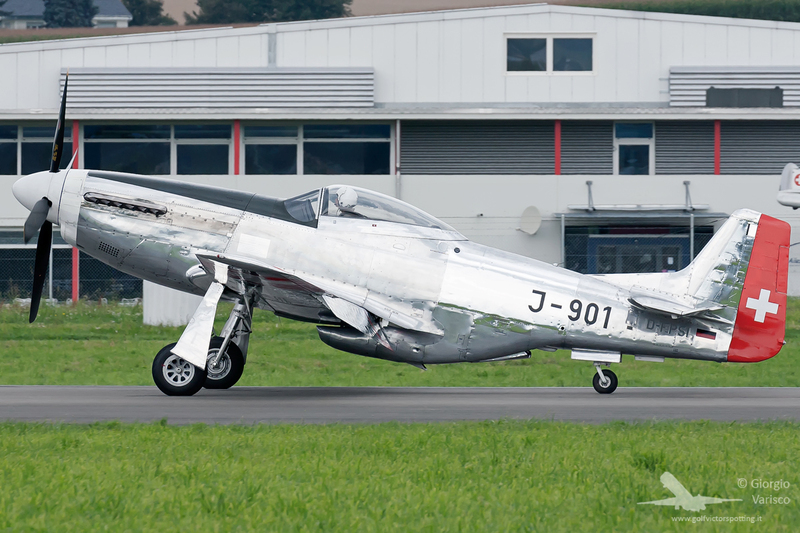 Due to the higher thrust-to-weight ratio of turboprop engines, the nose had to be lenghtened in order to maintain the position of the center of gravity. 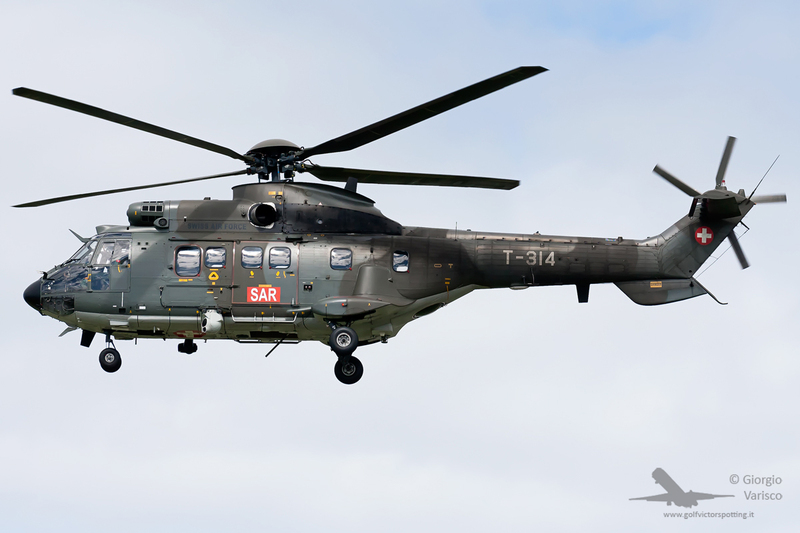 The Super Puma made its usual stunning display. 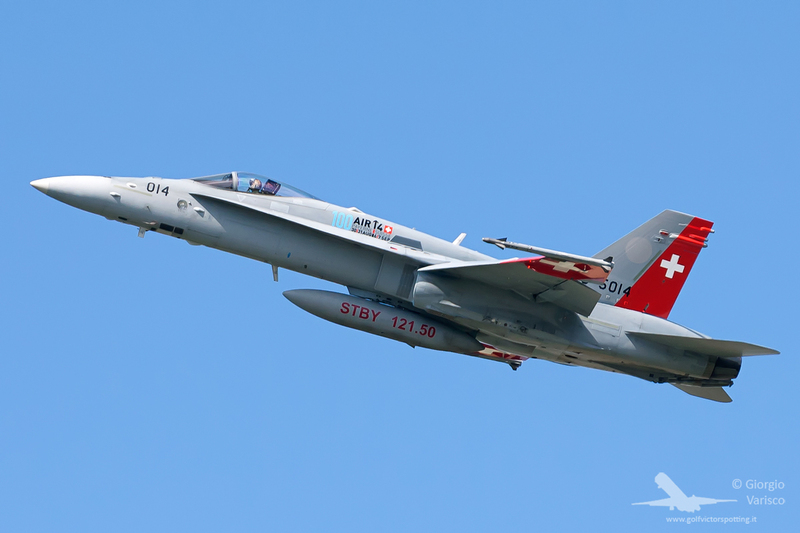 Excellent display by the F-18 too. 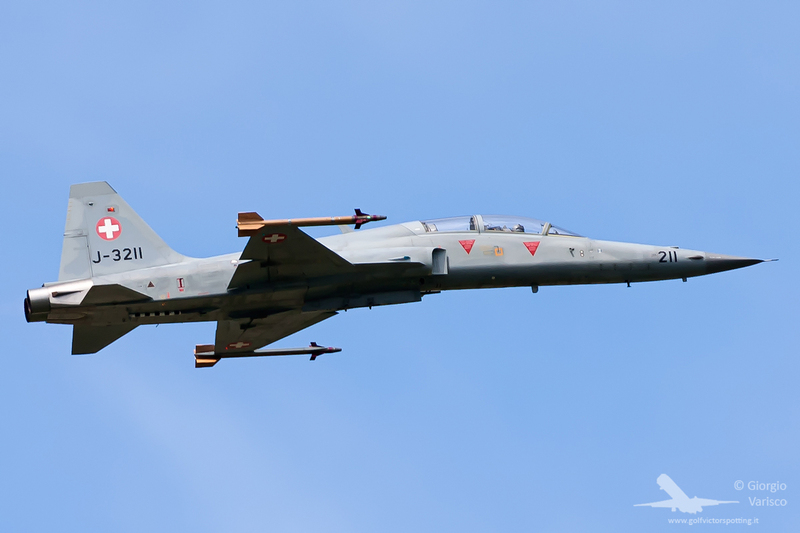 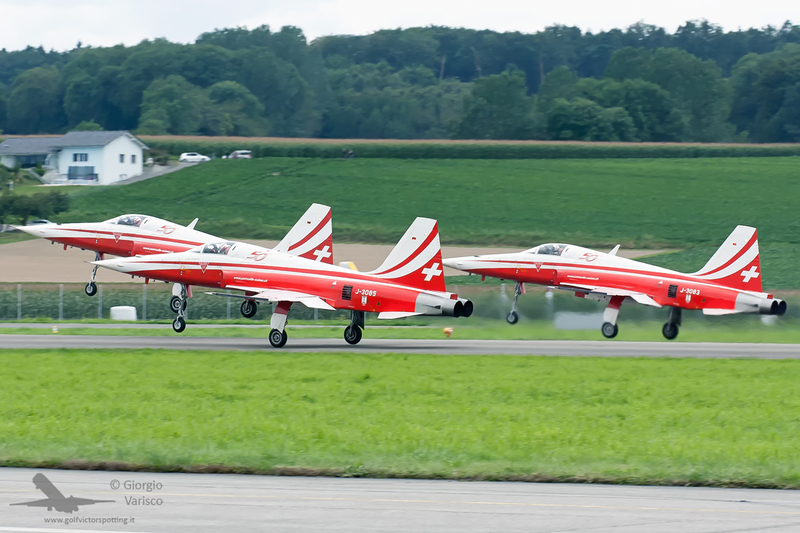 From Canton Ticino, the P3 Flyers display team. 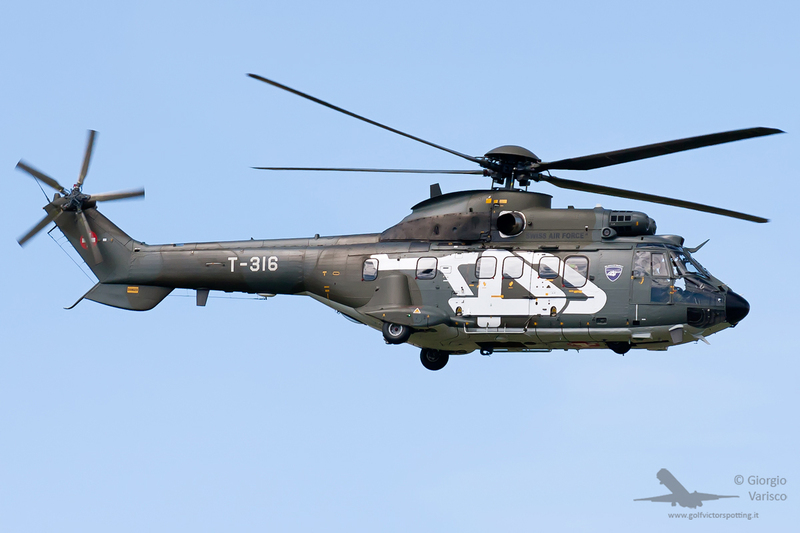 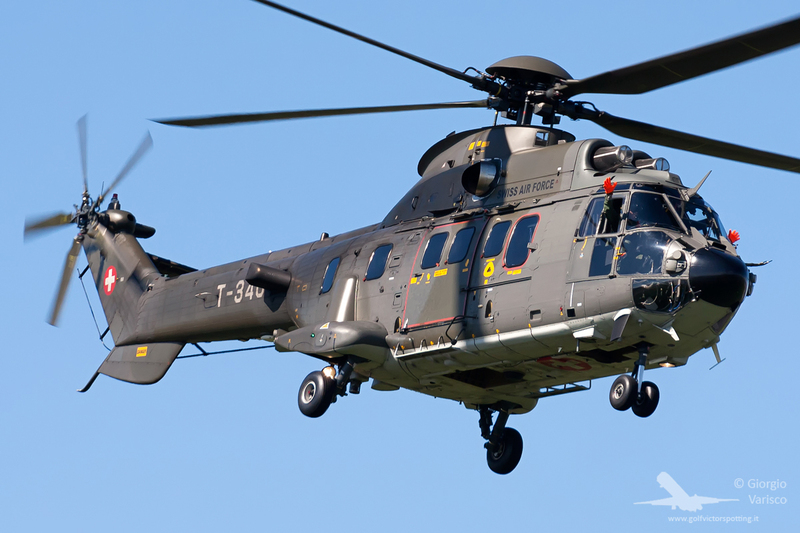 This Super Puma was used for air-to-air shots. 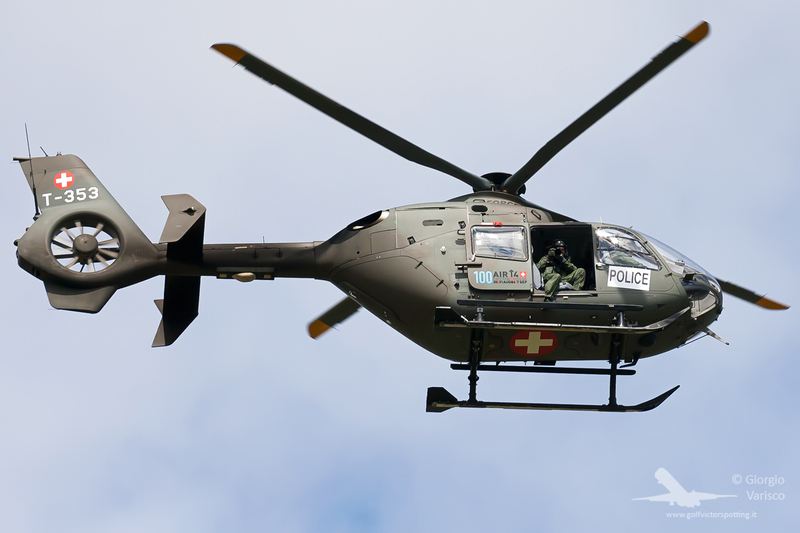 Notice the camera mounted on the outside. 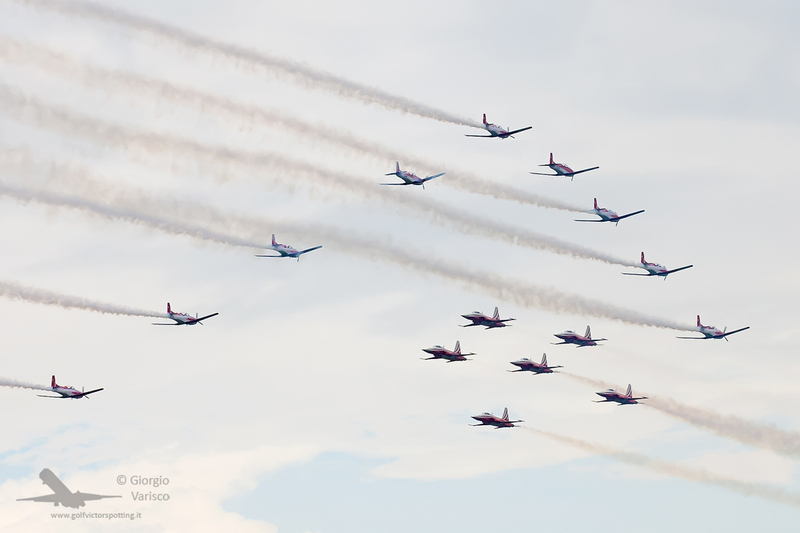 Taking photos of the crowd! 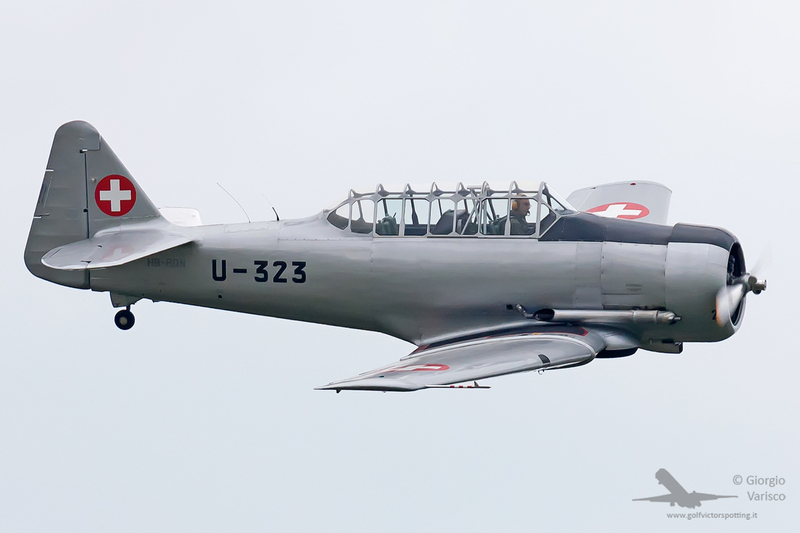 Noorduyn AT-16 Harvard (license-built version of the North American T-6 Texan trainer). 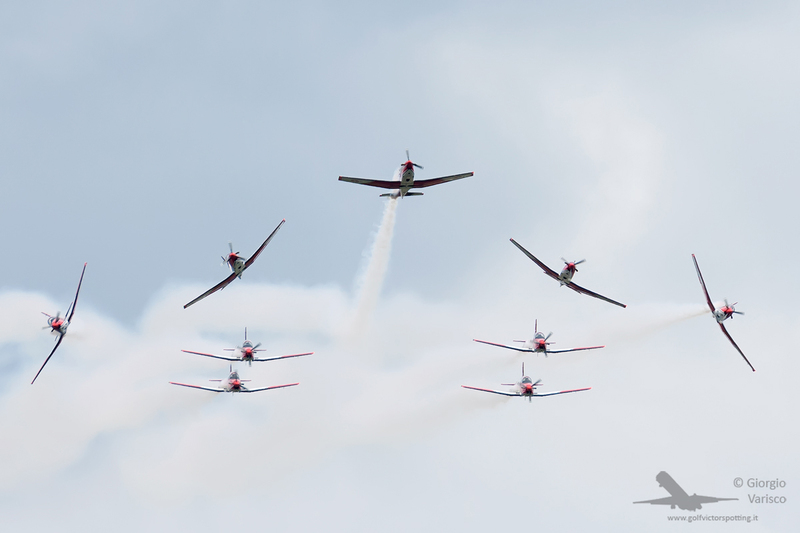 The PC-7 Team display team celebrated its 25th anniversary. 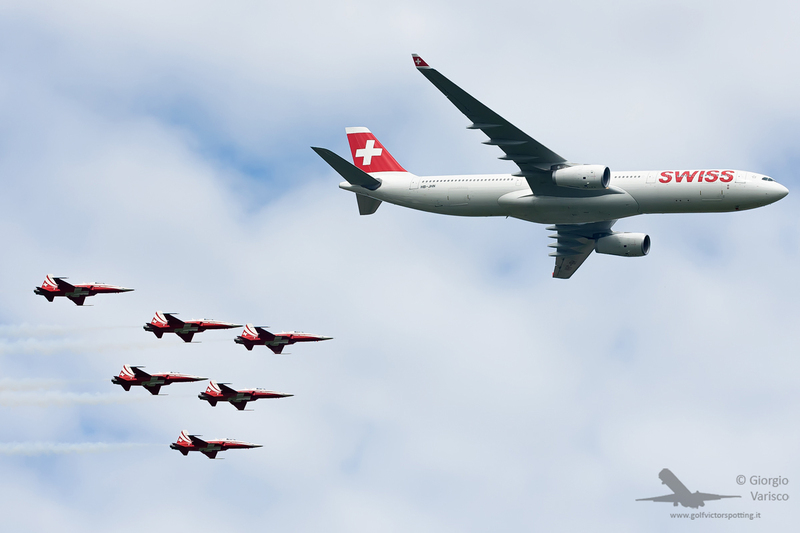 The Patrouille Suisse celebrated its 50th anniversary with a fly-by in formation with a Swiss International Air Lines Airbus A330 and a joint display with the PC-7 Team. 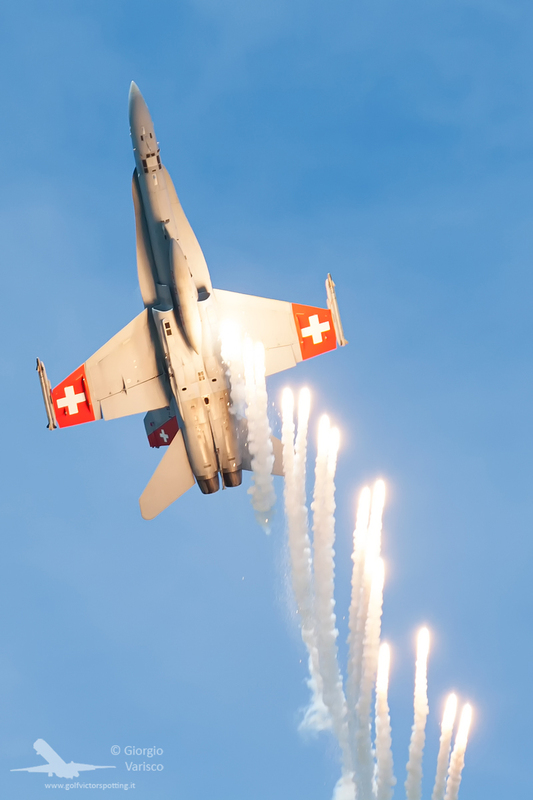 Do you think the Tunnel figure isn’t difficult enough? 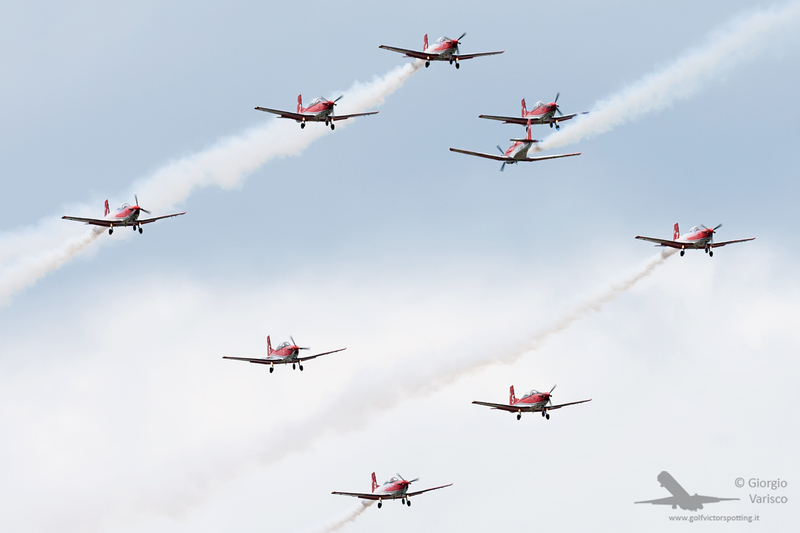 Well, try it with a WHOLE DISPLAY TEAM flying through your formation! 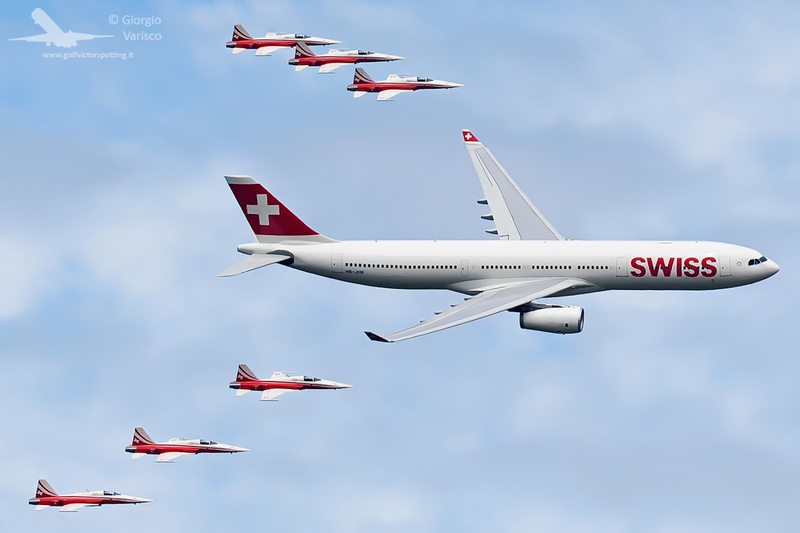 Finally, the special air ballet for the 100th Anniversary! 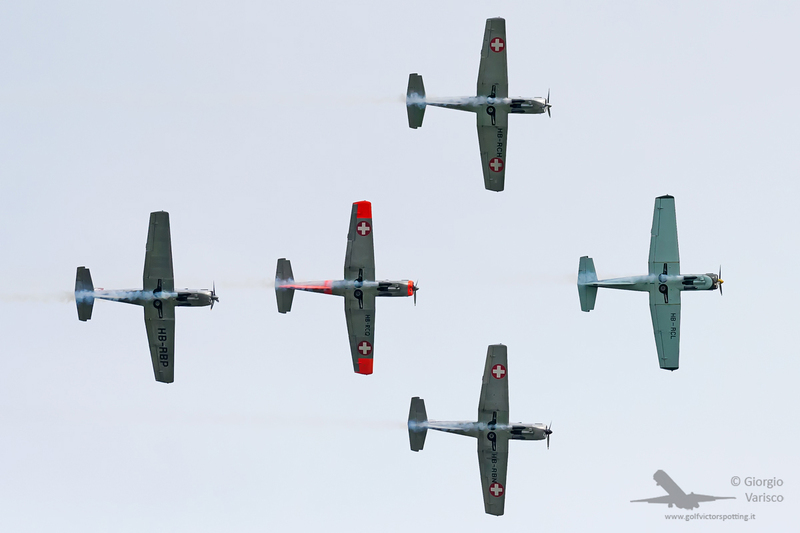 The ballet was opened by an original Blériot XI! 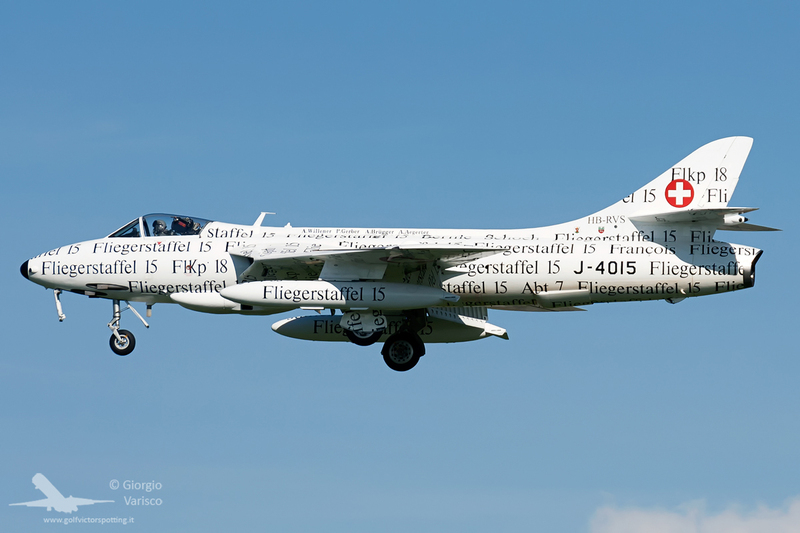 (EDIT: I thought it was a replica, it’s actually an original Blériot XI!) 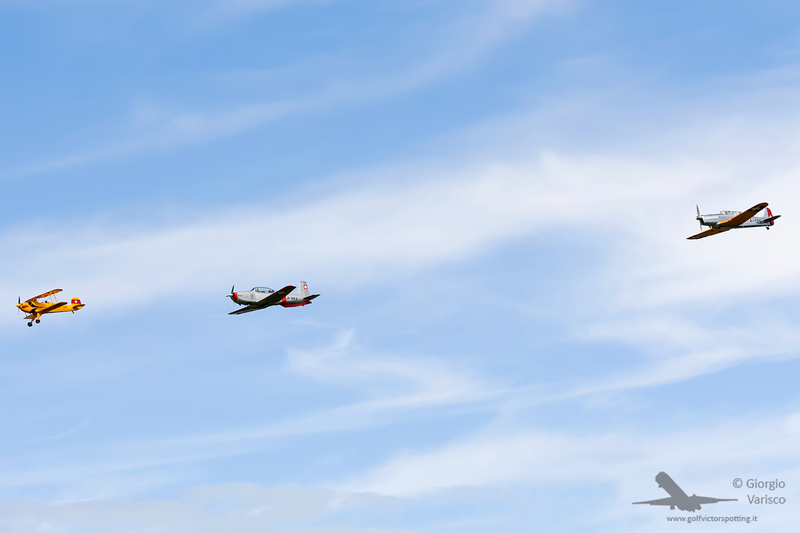 This airplane lacks ailerons, and it rolls by twisting its wingtips! 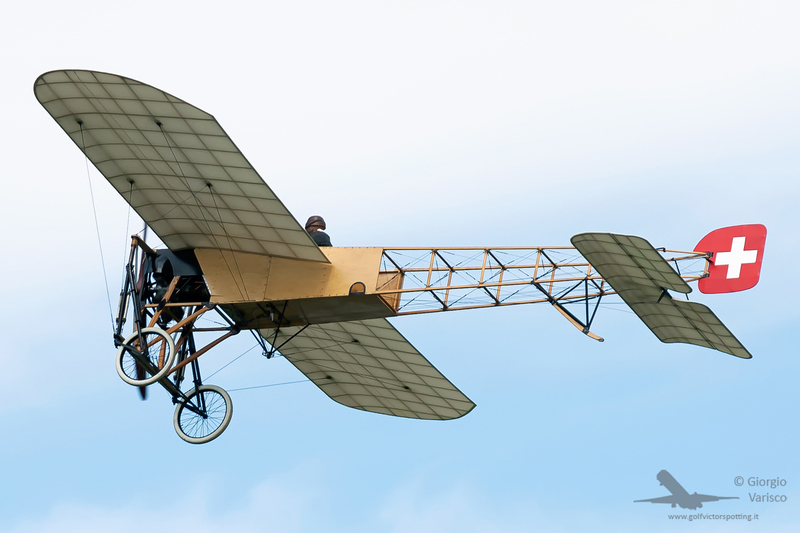 A similar plane was used by its designer Louis Blériot for the first flight across the English Channel. 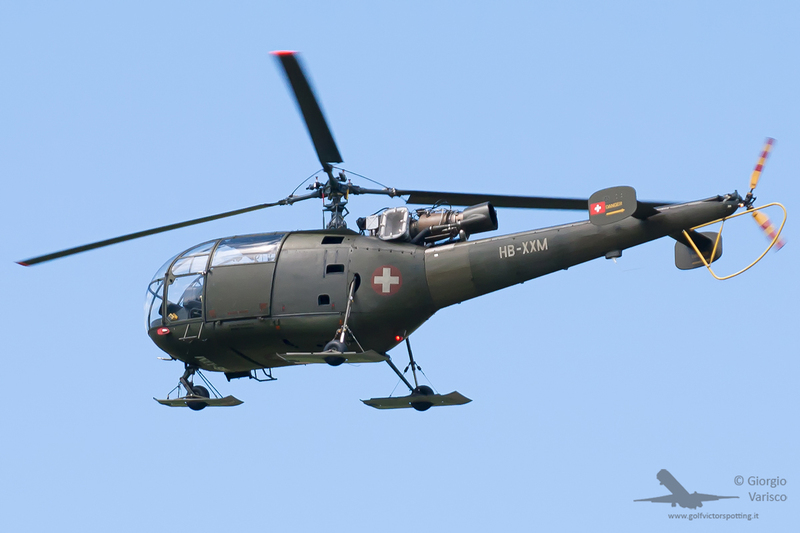 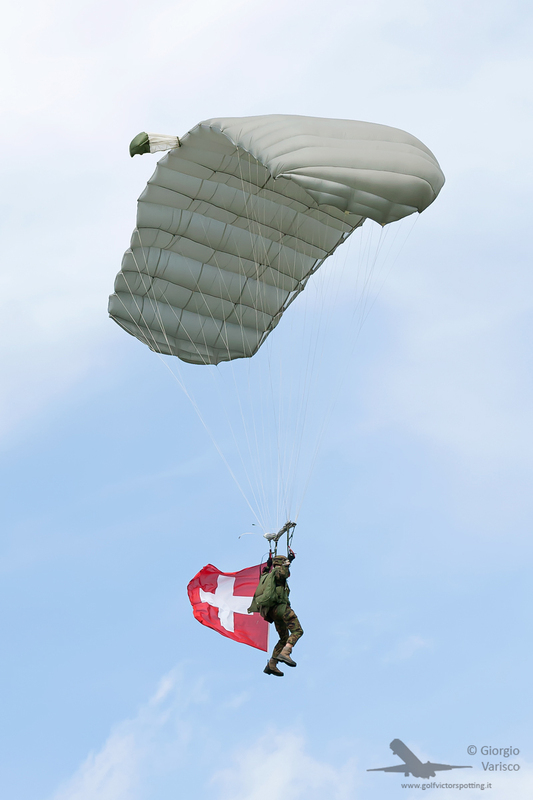 As the Blériot was landing, the Scout Paratroopers descended with the Swiss Flag. 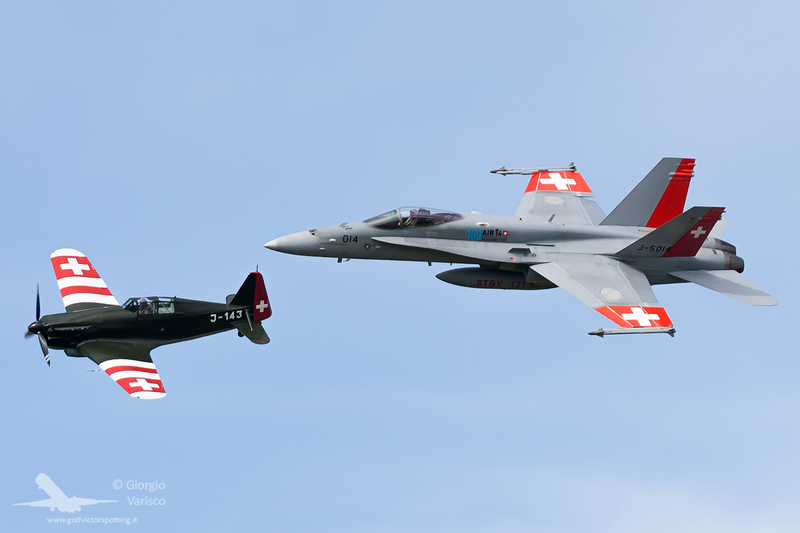 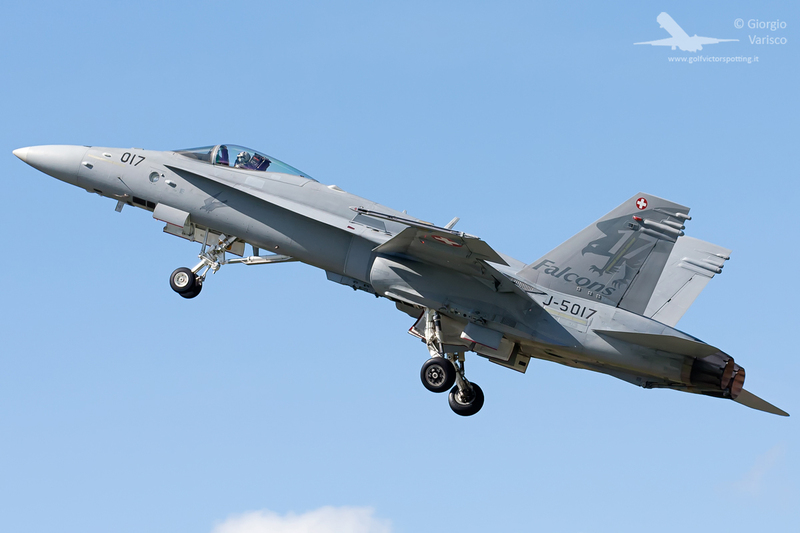 The first legacy pass: an F-18 in formation with a Morane-Saulnier MS.406. 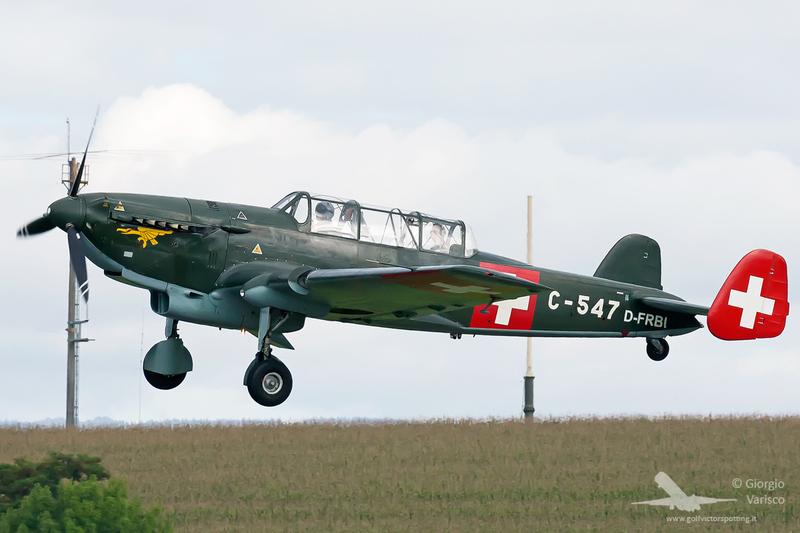 During the rehearsal day, this pass was performed with a P-51 Mustang in place of the Morane-Saulnier. 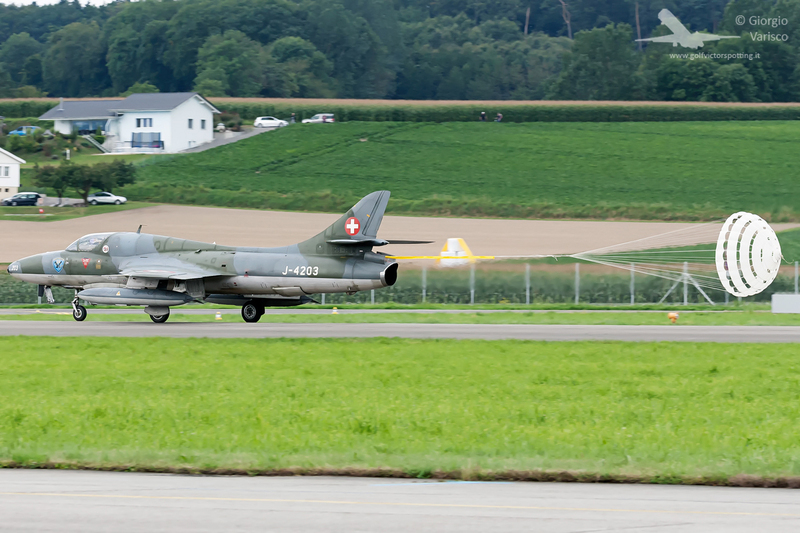 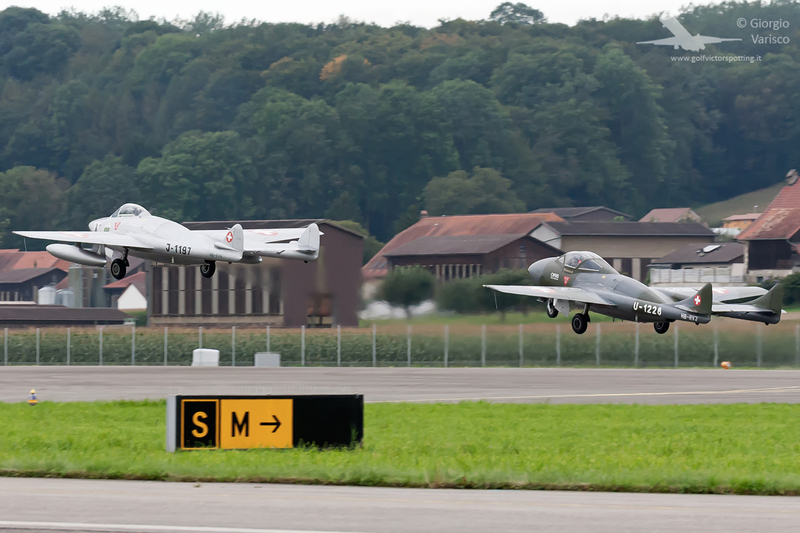 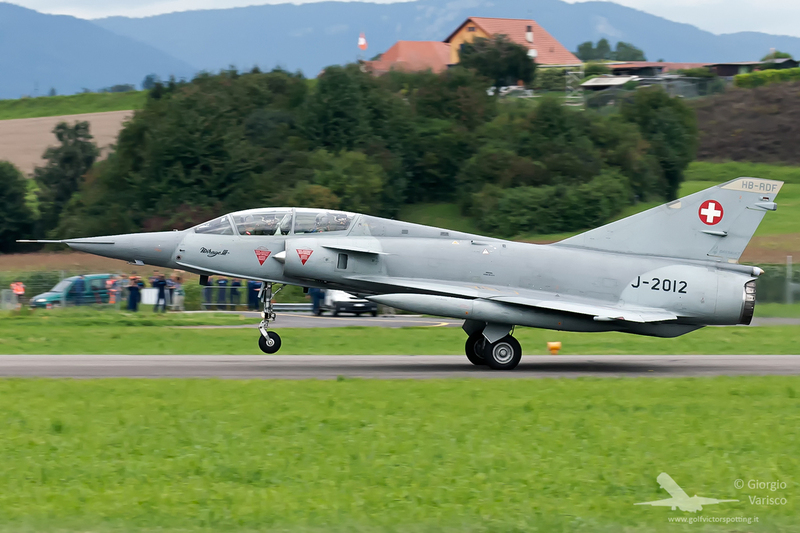 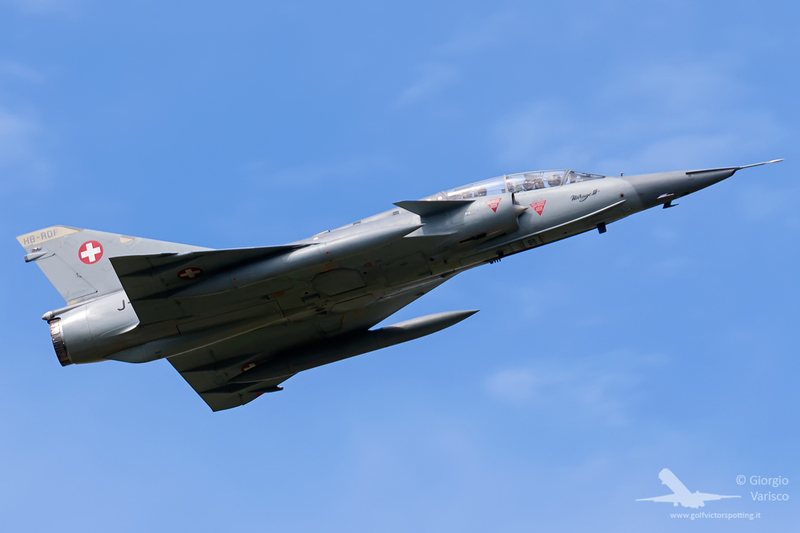 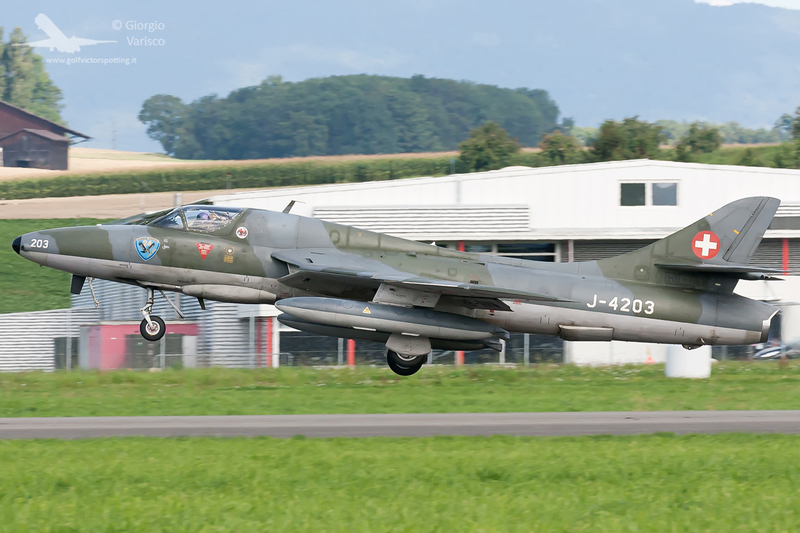 The only airworthy Dassault Mirage III in Europe and an Hawker Hunter take off for the second legacy pass. 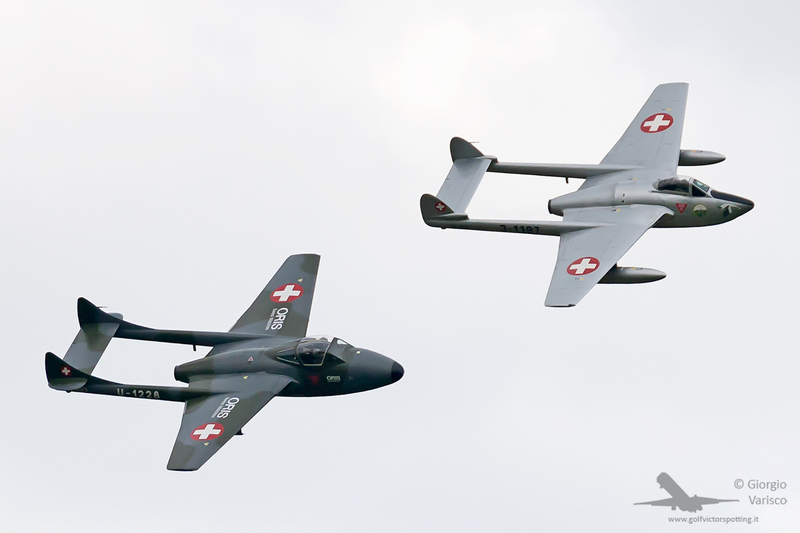 In the second legacy pass there are a De Havilland Vampire, the Mirage, the Hunter and a Northrop F-5 Tiger. 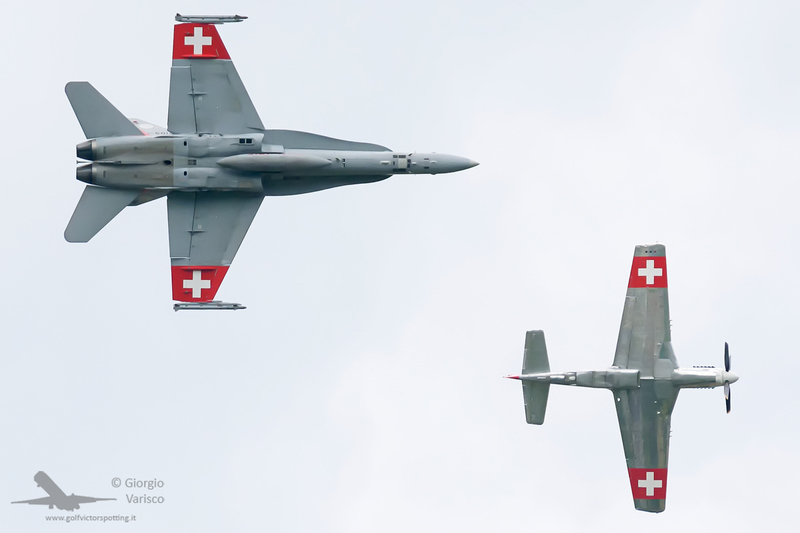 The Tiger is a two-seater, which are getting rarer and rarer in Switzerland. 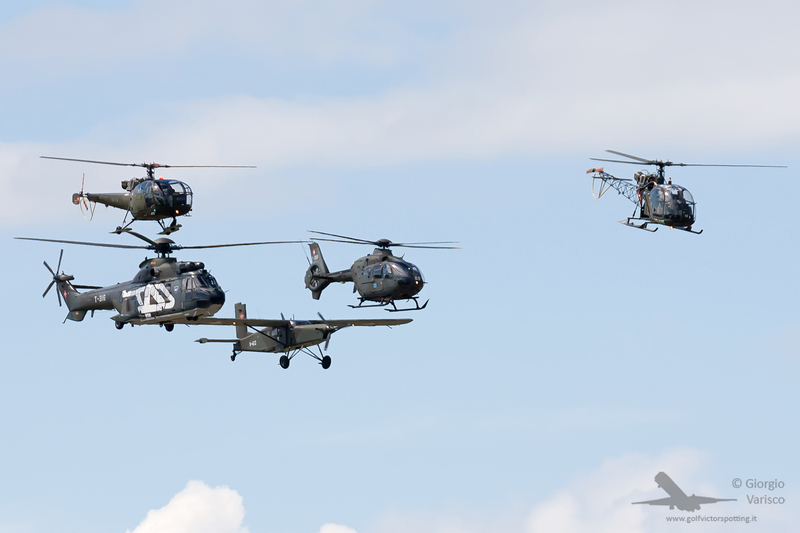 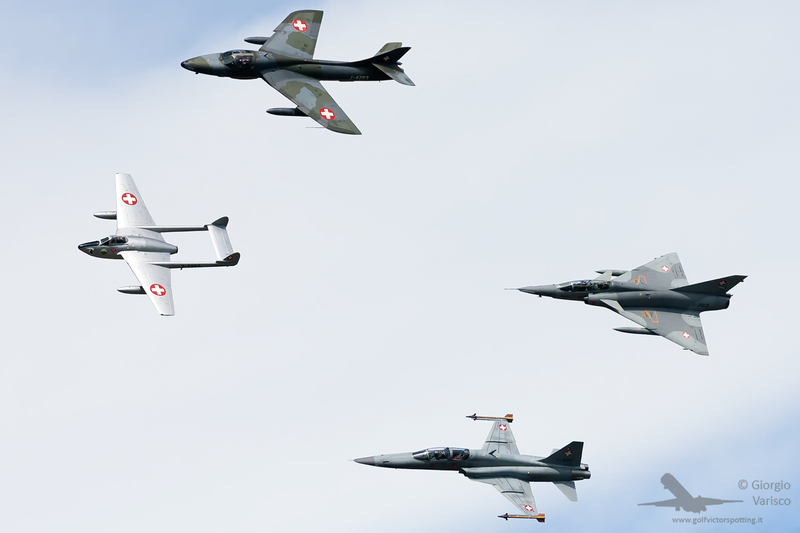 The fourth legacy pass shows the past of training in the Swiss Air Force, with a Bucker Jungmann, a Pilatus P-3 and a Pilatus P-2. 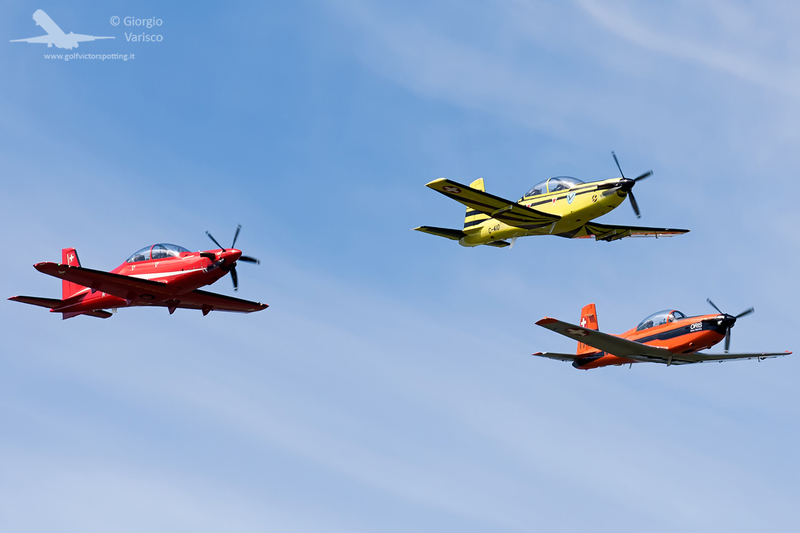 The fifth and last legacy pass shows the present of training, with Pilatus PC-7, PC-9 and PC-21. 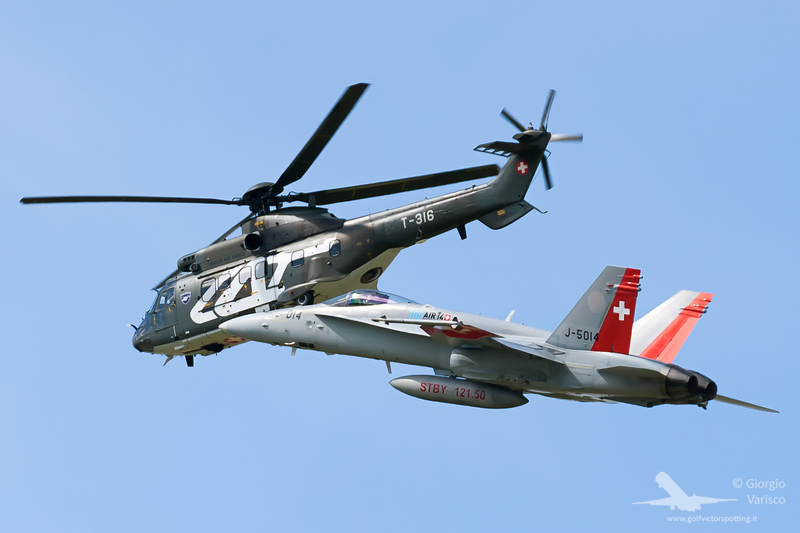 And finally, the special color Hornet and Super Puma flying together. 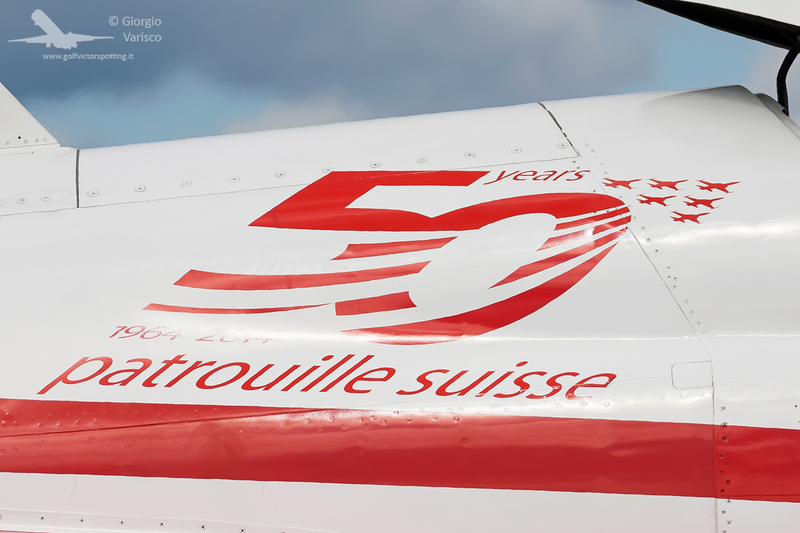 That’s all, thank you for watching! 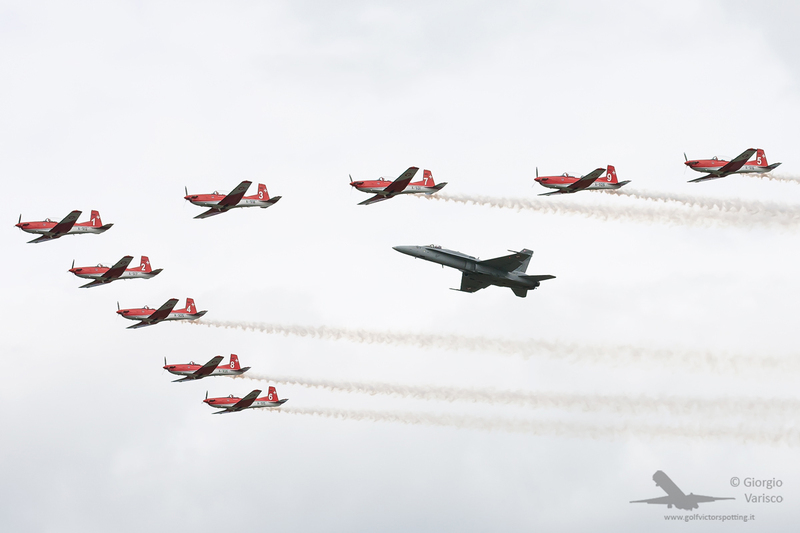 The P3 flyerd team and flare is just delightful!